Numbers dwindled to just 12 this week. With next week being our one year's anniversary I'm guessing this is just the calm before the storm. This week we started off with three groups. Dan brought Cutthroat Caverns which I was totally interested in playing again but totally missed out on. At the end of the game there was all to play for, whoever killed the next monster would win but it was Dan that made the fatal blow. 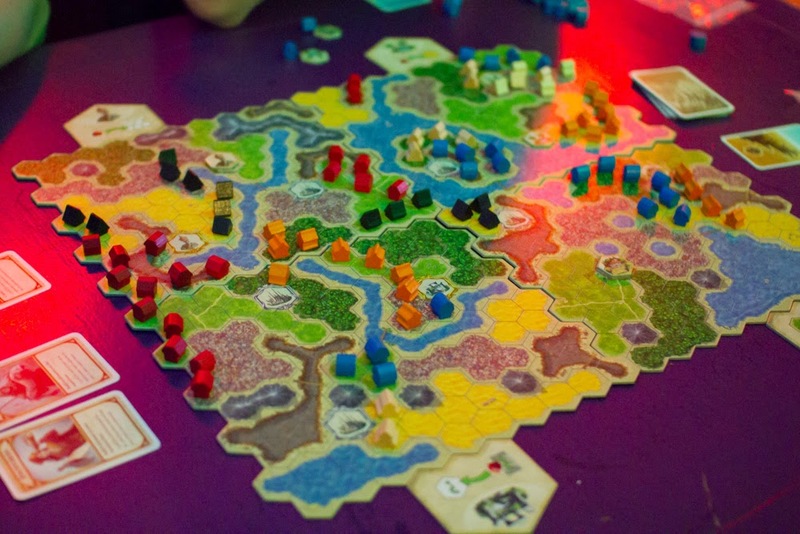 I'd brought Kingdom Builder. We played a couple of games with me winning the first and Matt storming ahead in the second. 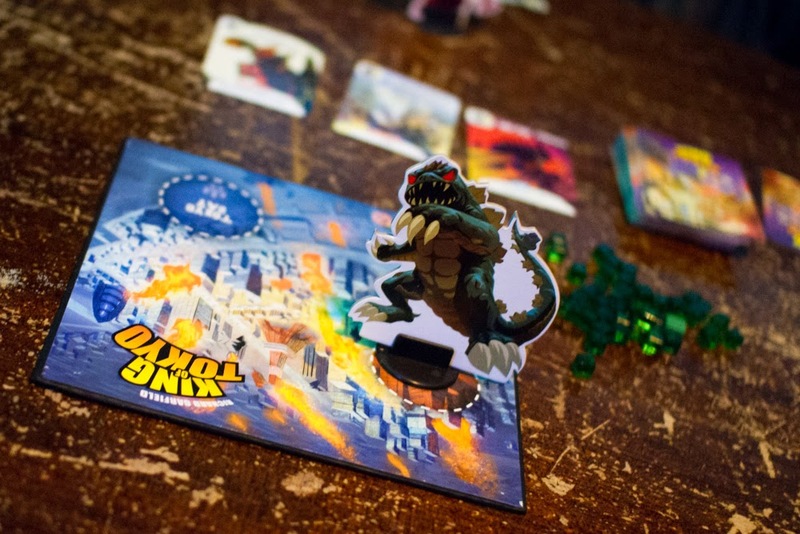 At another table Joe destroyed his opponents in King of Tokyo, winning five games straight. Afterwards, we played 7 Wonders with Babel, an expansion where you have the ability to place tiles that affect all players. I did terribly, not being able to get the resources I needed from my neighbours and coming last. At the end of the game everyone thought Matt had won, having played about ten resource cards but when we totalled up the scores, we found Adam had beaten him by two points and Dan had beaten Adam by another point. While this was going on Mike had been playing Quantum. I left before it ended so I don't know who won but I'm pretty sure it wasn't Alex. Sorry Alex. Next week will probably be some sort of King of Tokyo tournament (Joe is probably banned). More details to follow!